What Documents to Bring to the Interview? At the in-person interview, USCIS officers are not supposed to readjudicate already approved Form I-140s. Instead, they are supposed to provide deference to decisions made by USCIS service centers. That being said, at the interview, USCIS officers are supposed to review the supporting documents that the USCIS field office used to approve the Form I-140. In particular, officers are supposed to make sure that the documents that were provided with the Form I-140 are “accurate, bona fide, and credible”. This means that individuals attending an interview should review their approved Form I-140 petition so that they know what documents were submitted to USCIS. Individuals should also bring to the interview originals of any documents that were filed with Form I-140. Just like when USCIS conducts interviews in family based adjustment of status cases, the USCIS officer will go over all the information on the Form I-485 to make sure all the information is accurate. In addition, the officer will ask the interviewee questions such as what their current immigration status is, and if they have committed any crimes, to make sure that they meet the eligibility requirements for adjustment of status. Before going to their interview, individuals should make sure to review their Form I-485 application to make sure that they know how all the questions were answered. In addition, individuals should review their Form I-485 for any errors so that they can alert the officer at the interview to any changes that need to be made to the application. Officers are also supposed to ask questions about the Form I-140, to make sure that that the evidence used to approve the Form I-140 was “accurate, bona fide, and credible”. Therefore, individuals should be prepared to discuss their employment including: (1) their proposed job duties; (2) where they will work; (3) information about their employer; and (4), the terms of their employment. The USCIS officer will also ask questions about the individual’s background such as: (1) their education; and (2) their past work experience. Will an Applicant’s Spouse and Children be Interviewed? As part of the USCIS guidelines, USCIS will also interview the spouse and children of the principal applicant also seeking to adjust status. USCIS will go over the information on the Form I-485 to make sure all the information is correct. USCIS will also ask questions relating to the individual’s eligibility for adjustment of status. Finally, USCIS will also ask the individual questions about their relationship with the principal applicant. Will the New Guidelines Affect Case Processing Times? USCIS estimates that 17% of USCIS field office workload will consist of employment based adjustment of status interviews. This is a significant increase in the amount of work that field offices must conduct. While it is to early to tell what effect the interview requirement will have on processing times, it is likely that the requirement will lead to increased processing times. 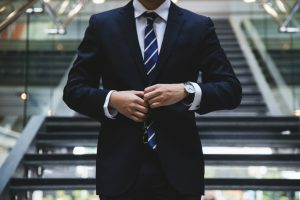 Should I Hire A Lawyer for my Interview? Having an attorney attend a employment based adjustment of status interview can be beneficial to your case, and also give you peace of mind. Hartzman Law Firm is well versed in all aspects of employment based green card cases. Our Pittsburgh immigration lawyer, Daniel Hartzman, will prepare you for what to expect at your interview, and is also available to attend your interview with you. Daniel is available to attend USCIS interviews all over the country. Contact Daniel at (412) 495-9849, or at dhartzman@hartzmanlawfirm.com for more information.